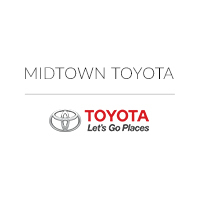 If you’re debating leasing a new Toyota in Chicago, IL now is the best time to do it here at Midtown Toyota! We’re currently offering great lease specials for all of our Chicago Toyota customers to take advantage of. You can find our new Toyota lease specials above. If you find a Toyota lease special that you would like to learn more about stop in our Toyota dealer in Chicago today or call us here at (877)-899-6206. These Toyota lease specials won’t last long so you better act fast! GENERAL DISCLAIMER: New Car Finance Rates cannot be combined and are subject to availability. On approved credit from Toyota Financial Services. 0% APR financing for 36 months with $27.78 per $1000 borrowed. 0% APR for 60 months with $16.67 per $1000 borrowed. 0.9% APR financing for 60 months with $17.05 per $1000 borrowed. 1.9% APR financing for 60 months with $17.48 per $1000 Borrowed. 0.9% APR for 72 months with $14.27 per $1000 borrowed. Percentage Rate available to buyers with approved Tier I+ credit through Toyota Financial. Down payment may be required. Cash back from Toyota Motor Sales, Inc. Varies by region. See participating dealer for details.? *ToyotaCare Covers normal factory scheduled service for 2 years or 25,000 miles, whichever comes first. See Toyota dealer for details and exclusions. Valid only in the continental U.S. and Alaska. Roadside assistance does not include parts and fluids, except emergency fuel delivery. Prius Plug-in Hybrid comes with an additional year of roadside assistance, for a total of 3 years from date of first use. New Car Advertised Prices include all applicable manufacturer incentives and rebates that are available to everybody.? Advertised prices do not include College Grad rebate or Military Rebate. Manufacturer Rebates can not be combined with special offered finance rates.